Prove your worth to the Warlords and save the land of Etheria from the evil Lord Bane. Get caught up in this epic story! 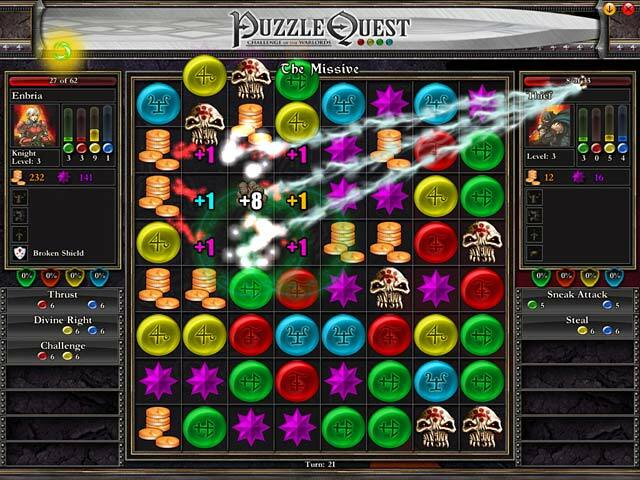 Puzzle Quest: Challenge of the Warlords delivers, for the first time ever, classic puzzle-game action backed with an epic story of good vs. evil. Prove your worth and save the land of Etheria from the evil Lord Bane. Build your empire as you capture cities, build castles and gain a party of companions that will aid you in battle. Challenge your skills in the incredible campaign mode! Experience a puzzle game like nothing you have played before! 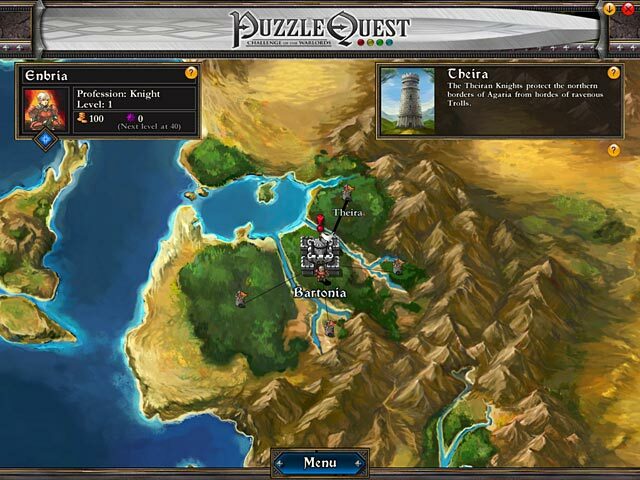 - Embark on challenging quests.